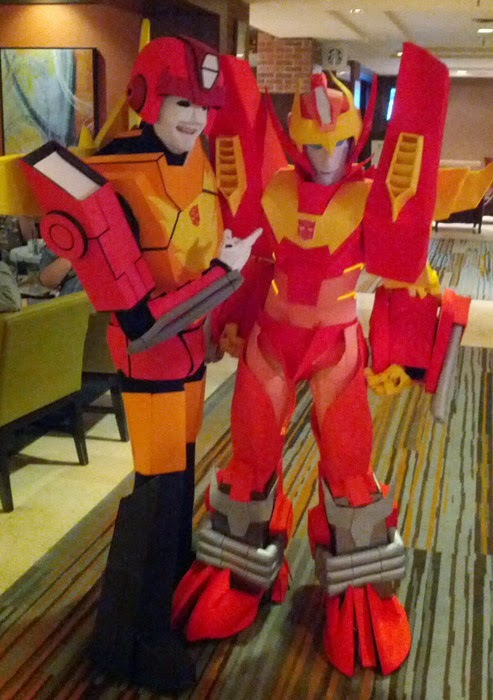 Last month I went to TFcon 2014, once again held at the Delta Meadowvale Hotel in Mississauga, Ontario. This year, the show was held a little bit earlier in the summer, on July 11-13 instead of towards the end of the month. 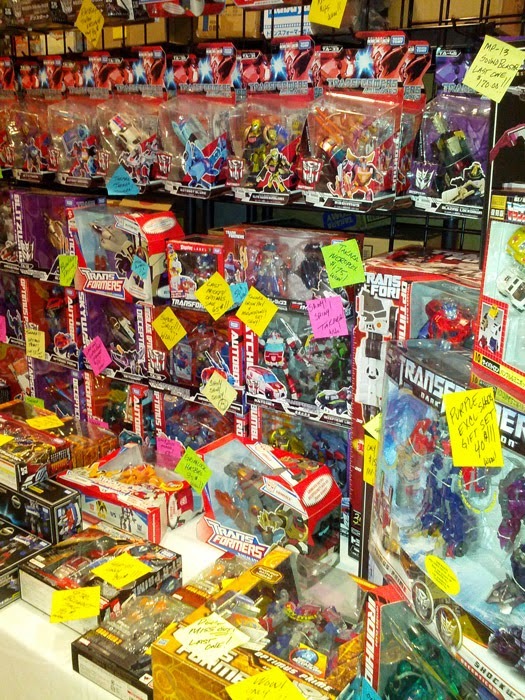 As usual, TFcon promised a fantastic gathering of Transformers fans, with plenty of activities, a huge dealers' area to buy toys, and lots of fun connecting with old friends and making new ones. In previous years I drew a comic to go along with the voice actors script reading, but it always took up so much time that I felt I shouldn't do one this year, having just graduated from college. 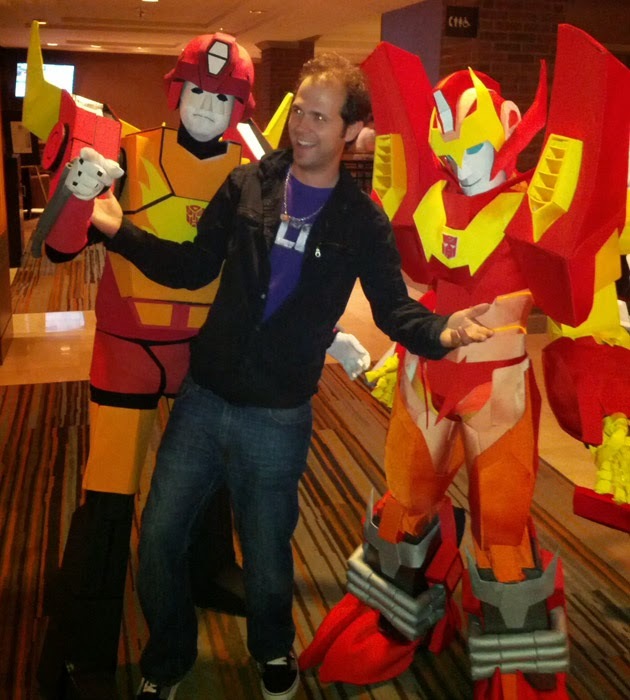 It was the right decision, but since this was the first year in a long, long time that I have not contributed to TFcon in any way, it felt like something was missing for me. I kind of felt bad about that, so it was a different experience. Also, my usual partner in crime, the infamous Guber, was not in attendance this year. He was stuck in Turkey as part of his strange globetrotting adventure. A TFcon without Guber is like a Tranformers toy missing its accessories. Its weird, rainbow-colored accessories. So, if only for that reason, it seemed like a much quieter, more subdued event. That all said, I still had a good time. Here are some pictures. 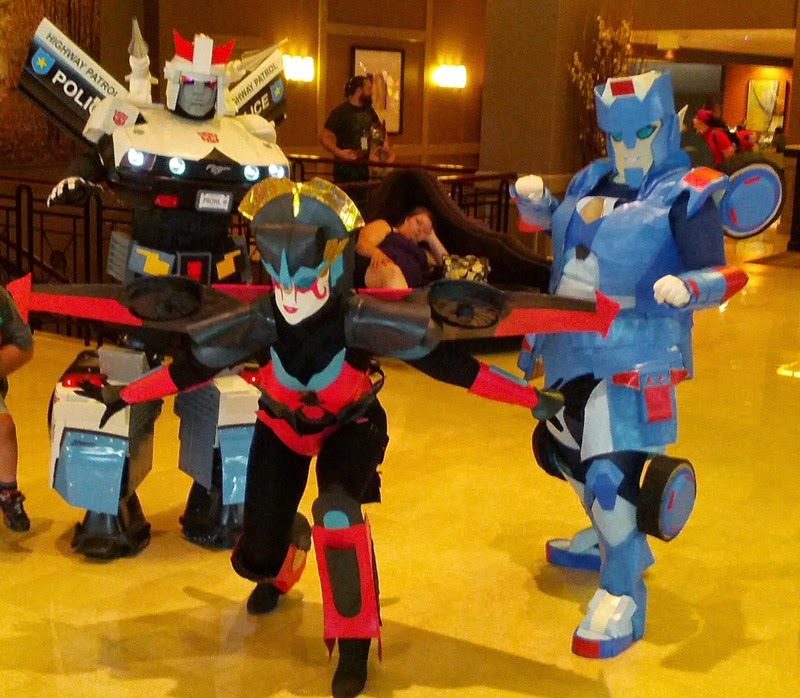 The Transformers costumes seen at TFcon get more and more impressive with each new event. Here is a close look at the winning costume. As I understand it. Prowl was made out of a Power Wheels car. 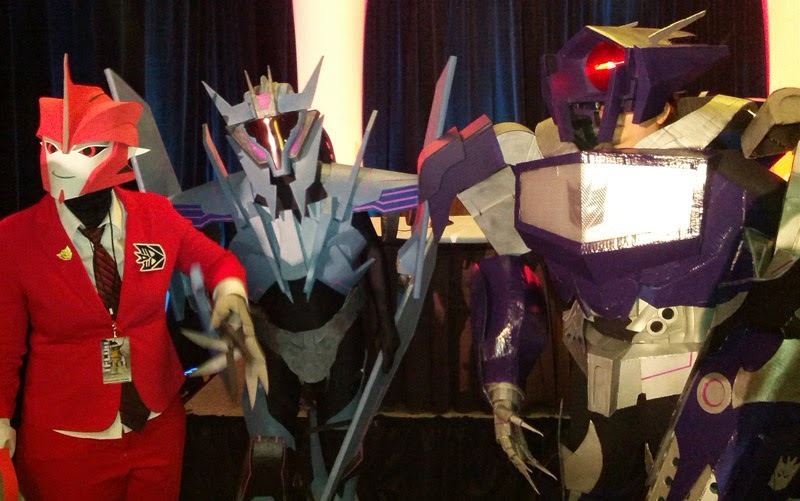 Knock out, Soundwave, and Shockwave. Gary Chalk (Optimus Primal in Beast Wars and Optimus Prime in Armada/Energon/Cybertron) made his 3rd appearance at TFcon, and is always a fantastic guest. Making his first appearance was Neil Kaplan, who played Optimus Prime in Robots in Disguise. 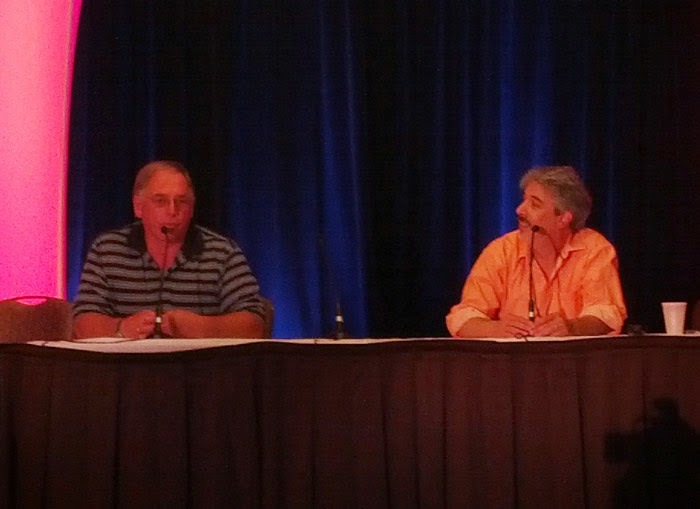 Neil and Gary had a panel together that was one of the nest voice actor's panels I'd ever seen. They were both really informative and absolutely hilarious. When the discussion turned towards how they had become "Budget Peter Cullens", they both started doing Eeyore from Winnie the Pooh as Optimus Prime. It was so incredibly funny that I had tears in my eyes. That night at the bar, I got a chance to talk to Neil a bit and listen is him go on about cartoons, movies, monsters, super heroes, and everything else that's awesome. He really gets the whole convention scene and is a totally cool dude. He even tweeted me while I was on the way home on Monday. It was like TFcon was still happening in the car. One of the highlights of the show was the concert by The Cybertronic Spree, a rock band that dresses up as Transformers characters and plays music from the 1986 Transformers movie. They put on a great show that is totally unlike anything you'd ever seen but just as awesome as you'd hope. 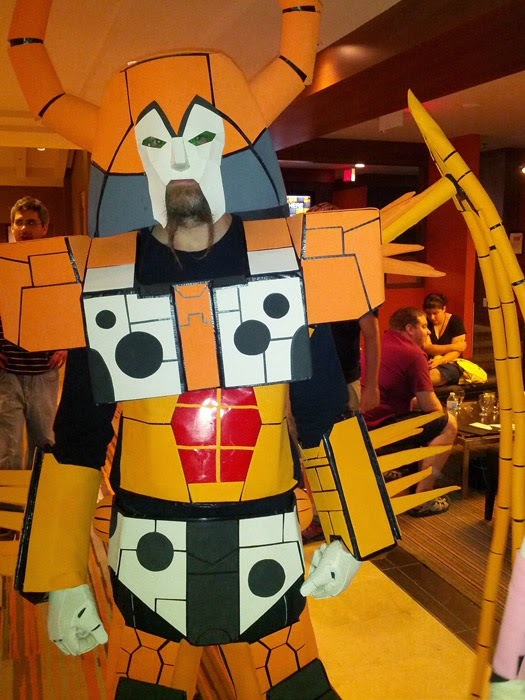 Unicron on the left plays guitar in the band. Plenty of toys to buy. It had been awhile since I bought some toys, as I no longer live in a city with a Toys R Us. So, I had to take the opportunity. Here's what I picked up. 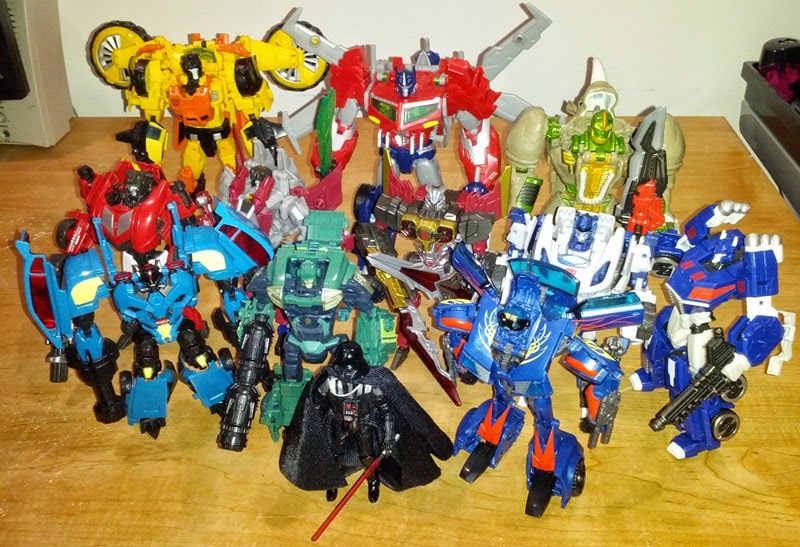 Generations Sandstorm, Beast Hunters Optimus Prime, Generations Rhinox, Fall of Cybertron Sideswipe, Starscream, Air Raid, Jazz, and Ultra Magnus, Prime Rumble, Kup, and Hotshot, and finally, a Darth Vader with removable helmet. Nothing too special, really. No crazy exclusive Japanese recolors. Just some recent toys I didn't have and was able to get at decent prices. Well, actually, there was one other toy that I picked up. Something very special. So special, in fact, I'll save it for its own post. 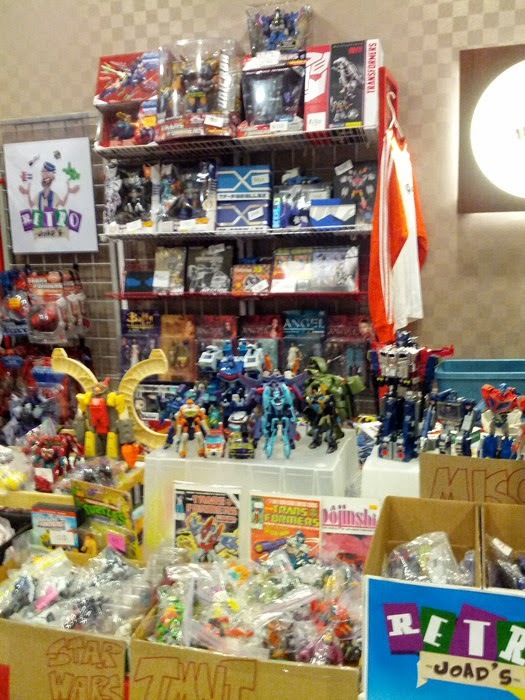 Of course, there is much more to TFcon than pictures can convey, and so much more than just buying toys. It's a great fan community experience that no other convention can match. 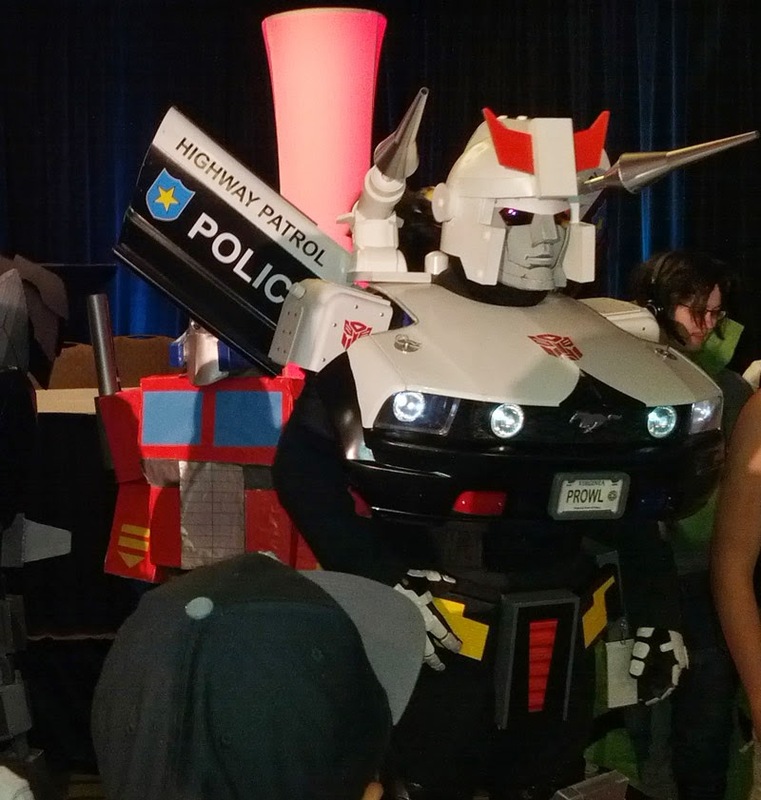 To wrap this up, I'll say that, by this point, if you are are a Transformers fan in Canada, or are in close proximity to Ontario, and you have never been to TFcon, you are certainly missing out. The staff is always on the ball and the fans are a big part of why this convention is so memorable. It's like a big family reunion, except it's way better because there are also robots. If you're not in Canada, and maybe even if you are, TFcon is now running a second show in Chicago. I'm not sure if I can make it to that one, but I definitely want to. 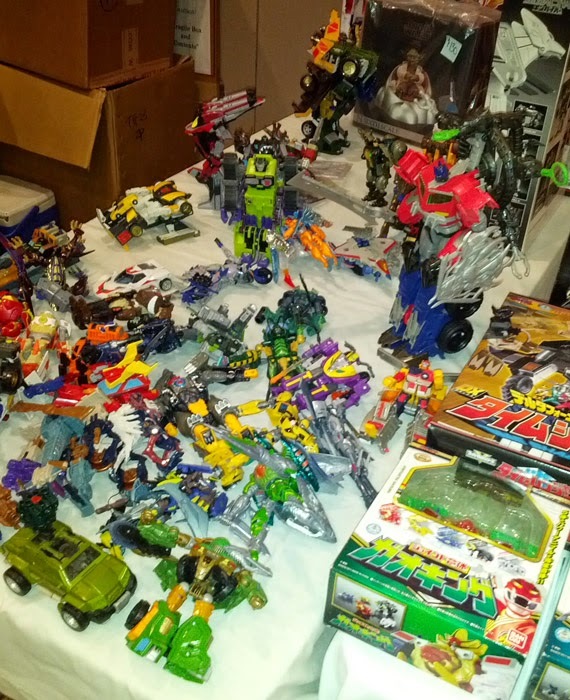 I used to go to several sci-fi/anime/comic/toy conventions in the Toronto area every year. I wish I could still do that, but I live too far away now. So, there's only enough room in my year for one. I'm glad I make that one TFcon.